At the end of September, I'm moving to what most of you might call a student dorm (though it's not exactly that). For this reason, I'd like to buy some periferals for my April '08 MacBook that make it into a real desktop replacement when I arrive at my room, while still remaining the road warrior it always has been when I'm in classes and whatnot. For all periferals, one common rule applies: the less space they take the better. First and foremost I'd need an external monitor. -maybe max 20-22 inch due to limited space? Second, I'm thinking about a wireless mouse, that new Bluetooth M555b from Logitech seems pretty decent? Being a music and movie freak, decent audio is important for me. I hope you have a profitable summer job, Lorre. Why don't you quote ball park figures of what you can afford and are willing to consider? If you're not a graphic designer why need another screen? Or another keyboard? You got the 15" MBP? Couple hundred saved right there. Of course the ideal way to solve this would be to simply get a 24" all-in-one vertical iMac and wirelessly sync your MBP and it through a superfast 802.11n Airport/Time Capsule. Wireless connectivity and auto backup = data security tackled in one fell swoop. But can you have a 24" screen in that dorm? And why didn't you mention external harddisks or routers like Airport? Got those? And got yo @ss covered with a decent backup system? I have a 13 inch white MacBook, ideal for lugging around but the screen is just too small to work on for extended periods of time. And I just attained my computer engineering degree, and the 1280x800 is really pushing it when using IDEs. The coming year I will study to attain an additional management master's degree, but I will still do some programming work to keep my coding skills up. The school where I attained my engineering degree is much closer to my home than the ne school where I'll try and get the management degree, so I can't commute anymore. A 24 inch iMac costs A LOT more than what I was thinking off. The Bluetooth mouse is what? $60? 2.0 speakers by Logitech or Creative, about $120 MAX. For a screen, I was checking Dell and Samsung's sites and Samsung has this sleek looking P2270 which retails for about $250 I suppose? But at that price i'm a bit suspicious. Looks so cheap! I have a 500GB USB LaCie portable drive Lying around which I could use for backup. I also have the habit of uploading the most crucial school files to my Google account. Internet will just happen with an ethernet plug in the wall. The Bluetooth mouse is what? $60? Wouldn't know, but I'd go for an Apple mouse. 2.0 speakers by Logitech or Creative, about $120 MAX. What about that Harman Kardon desktop speaker set without the sub woofer? They spread excellent sound with good bass. Especially if you have your elbows on your desk (when don't you?). And they're more compatible with your nextdoor neighbors than a sub woofer will be! But if you sometimes want max volume (and hearing damage) I would get a wireless headphone set. 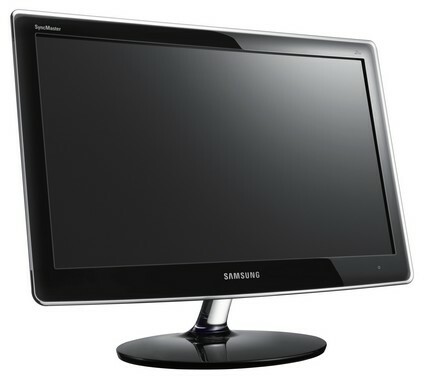 I was checking Dell and Samsung's sites and Samsung has this sleek looking P2270 which retails for about $250 I suppose? Can't hold a candle – image quality wise – against an Apple screen of the same size. I have a 500GB USB LaCie portable drive Lying around which I could use for backup. You mean you don't backup regularly now? Why not? You've got a spare external HD, and you've got Time Machine. So you've got no excuse to not backup. You're asking for bigtime trouble as long as you don't. I also have the habit of uploading the most crucial school files to my Google account. I.o.w. you rely on a third party for your data security! Bad call! You're fucked if you don't have an internet connection. And what are you going to do when Google screws up your data (and they will; Murphy's Law)? You're gonna sue them? LOL!